This simple yet the perfect gift to celebrate special moments this Valentines day. 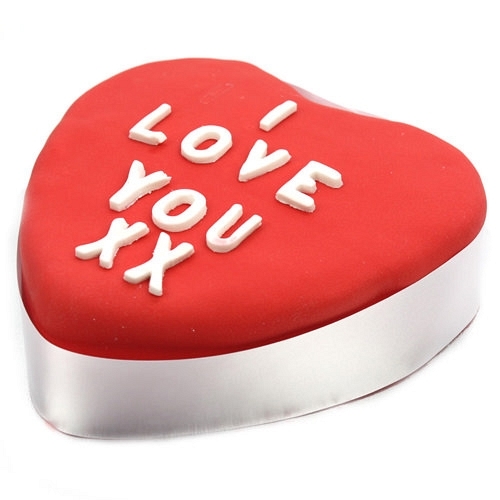 This heart shaped cake is decorated with I love you message on soft red icing covered cake. What a better way to say Happy Valentines day and to Say I Love you to someone special in your life. Available to order online in a Choice of light golden vanilla sponge sandwiched between vanilla buttercream and raspberry jam or layers of rich chocolate sponge filled with indulgent chocolate buttercream and finished with our luxury satin ribbon.